E-Force 2009-2010 Ford F-150 2-Wheel Drive E-Force Kit  : Supercharger Superstore, Your Online Source for Vortech Superchargers, Paxton Superchargers, Procharger Superchargers, Magnacharger Superchargers and Techco Superchargers! Now you can bolt-on an Edelbrock E-Force Supercharger system and boost the power in your 2004-10 5.4L 3V F-150. 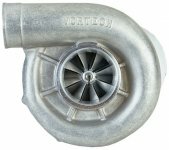 These E-Force Supercharger Systems are exclusively designed for each application and will allow you to boost your performance to an impressive 478 flywheel horsepower and 504 ft./lbs. of torque. These systems feature 14" long intake runners for maximum low end torque making them ideal for towing and off-road performance applications. These systems are also available with an optional supplemental warranty, 3 years or 36,000 miles for 2004-06 models and 5 years or 60,000 miles for 2007-10 models. 4WD trucks require an accessory package relocates the oil filter to clear the front differential when installing an E-Force supercharger system on 2004-10 4WD F-150 trucks.